Filipinos love of celebrating and drinking has been long part of our culture. As much as we love to celebrate all the festivities that we have, keep in mind that we only have one body. Don’t wait till it’s too late. There are two main ways you damage your liver, Oxidative stress and Toxins in Gut Bacteria, the two basically has the same end point, it is the inflammation and scarring of the liver and can lead to a liver transplant when the liver eventually stops working completely because of excessive drinking. Keep enjoying celebrating Philippines best festivities by drinking moderately and by including LiverMarin on your daily diet. LiverMarin is a dietary supplement containing 250mg of Silymarin or Milk Thistle and 100mg of Sodium Ascorbate. 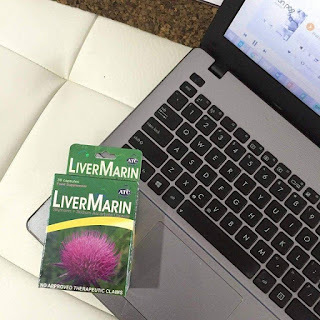 Silymarin is a supplement known to have the potential to protect your liver by acting as an antioxidant, promoting the growth of new liver cells while preventing liver damage. The Sodium Ascorbate which is a form of Vitamin C helps boost the immune system. Livermarin is available at Mercury Drug and leading drugstores nationwide for P 9.00 per capsule. For inquiries, you may contact ATC Healthcare at these numbers: 516-8888, 0909-3333333 or 0917-5623333.